A fuser unit is the part in a laser printer that creates pressure and heat to fuse toner to the paper. Not all of the parts go bad in the whole assembly when they wear out. The main part that wears out is the upper heat roller or the heat sleeve. The coating wears off and causes the toner to not fuse properly. There are replacement rollers and sleeves on the market that you can replace and turn a non-functional fuser into a good working one. Rebuilding fuser assemblies is not a new thing. Copier technicians have been doing it for years since the first office copier was created. When the fuser wears on any copier they replace certain parts some of which are, the upper heat roller, lower heat roller, bearings, picker fingers, thermistors, drive gears and more. The printer industry has a different approach in that they replace everything as an assembly. People are accustomed to this and when they need a replacement fuser they opt for a new one many times. I believe it is a mind set. A copier service person would look at it as a waste of money. Why buy a new one when you can buy the replacement parts for a fraction of the cost and install them and make it as good as new. You must be cautious when purchasing replacement parts because there are some replacement parts that are subpar, so finding a good parts source is imperative. The Pros are: 1.) Cost much less than a new assembly. 2.) Comes with a warranty. The Cons are: 1.) Higher defect rate if you don't find a quality manufacturer. The Pros are: 1.) You know for sure that what you are getting is as good as there is. The Cons are: 1.) Cost is much higher than a refurbished fuser. 2.) These too can be defective out of the box. I have replaced many fusers and believe that using refurbished fusers is the way to go. It will not harm the machine and I have seen refurbished fusers last longer than new fusers. You will save money and don't forget about the recycling aspect. There could be tons of old fuser cores in the land fills if it wasn't for refurbished fusers. The pros out way the cons when it comes to refurbished fuser units. It is critical that you find quality refurbished fusers with a good warranty and you will save a lot of money while helping keep our landfills from filling up with old fuser units. In today's day and age, there are so many options when purchasing copiers, and even more when selecting where to purchase them. We're going to go ahead and give you some guidelines that we think should help you out a lot, whether you choose to use us here at Correct-Tek Copier Service, or someone else. 1. Is it ever worth it to buy new anymore? In this economy, we have noticed a very large trend towards used/refurbished copiers over new ones. Why you ask? Well, for one, a used copier usually goes for about one fourth (most times even less) of the price of a new copier, while still being able to do most (if not every) thing that a new one can do. The key to finding a great used copier is to find one with a good copy count - A copier’s copy count can be looked at similarly to a car's mileage. The less copies it has, the fewer problems you will probably have to deal with in the future. On the same note, just because a car has less miles on it, it can still perform well for a long time, as long as it's a good car. "Good" copy count will vary from machine to machine, as a much higher volume printer, such as one that does 100 plus copies a minute, would still have a good copy count with 1 or even 2 million copies, since it is built for volume, while for a copier that performs 35-45 copies per minute, you will want a copy count of under 1 million. 2. Ok, now where to buy one. When you are looking for copier suppliers, you can do a simple search for places near your area via Yahoo Local, you can do a search on Yahoo or Google. 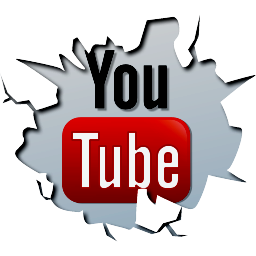 The main thing that you’re looking for is a company that has been around for a while, and if possible, checks for an abundance of positive feedback/testimonials, which can be found when using services such as Yelp, Facebook, or Google Plus. 3. What do you need? What kind of production will your business be doing, and what kind of accessories will you need? 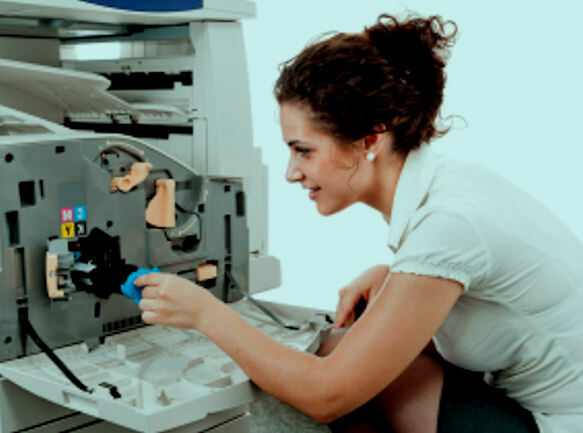 For smaller businesses, we like to recommend copiers that can do 35-50 copies per minute. 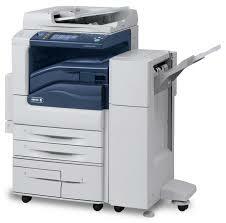 Copiers in this range should be good for about 50,000 to 250,000 copies a month. For larger corporations, we like copiers that will produce 60-100 plus copies per minute - These copiers are ideal if you have a print shop, as they are built to do up to 200,000 to 2,000,000 copies per month. 4. Time to accessorize! You will now need to determine what you will need your copier to come with. 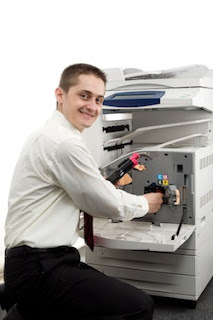 For many businesses, they like their copier to be their printer for all of their computers, in addition to its normal function of copying. To do this, you will need what is called a "Fiery," or "Rip." These are basically small computers that hook up to your copier and router, and by simply inputting a few things, such as IP and Gateway IP, (a copier tech can do this) you can use your copier on your network in the same way you would use a printer. Also, modern copiers have the ability to do many things - If you need documents to be stapled, you will need a stapling finisher. To do brochures or books, you will need a booklet maker. These are all "extras" that must be discussed before purchasing. Choosing a copier can be tough, but with the right knowledge, you will surely make a great decision! When it comes to copier sales, the most important decision that you are going to make involves which type of machine you are interested in purchasing. Reason being , because of its function inside of the office, you want to make sure that you are getting the right equipment for the right price and are using it to its maximum potential. 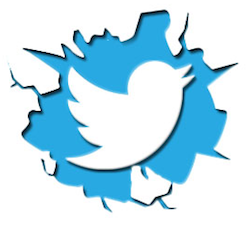 If there are extra features, you want to make sure that you are utilizing them. Before making a purchase, consider what type of machine will work best for your type of business. Before thinking about copier sales, decide what you are planning to do with this office addition. Will it be used on a daily basis or just for larger projects? Do you need items in color or just black and white? How often are you going to be stapling or hole punching the papers coming out? Decide how often you are going to use it, and what features it needs to come equipped with. Following this decision, you can narrow down the choices. When looking into copier sales, one of the best ways to save money is purchasing refurbished items. These usually have a full warranty, a low count, and have been inspected for proper functioning by the manufacturer. While they are not new, they still work just as well and sell for a fraction of the price. Most times at a savings of up to 85-90% off M.S.R.P. With the warranty, there is no worry that it won't last or problems will cause it to break prematurely. Now that you know what you need, it is time to investigate the options. See what is available and begin to determine what price range you are interested in. Remember what it will be used for and what you need to accomplish with it. Don't rush into a decision, because this type of office essential will be used for a long time, and you will want to choose wisely. 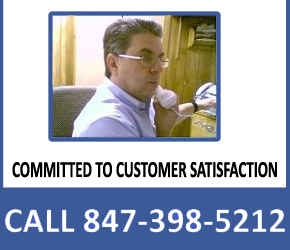 When choosing a company that specializes in copier sales, don't just look at the merchandise. You also need to look into the procedures for service, what type of solutions are offered in the case of problems, and how you would be able to contact someone in case of an issue. Also, think about how delivery is going to take place. Make sure all of your questions are answered before you make the purchase. Things will run more smoothly with the right piece of equipment saving you time and energy in putting together all of the paperwork your office needs.